Publication day for Hunter’s Moon! Today is the official publication day for my new YA novel Hunter’s Moon, when it hits all the shops, physical and online. 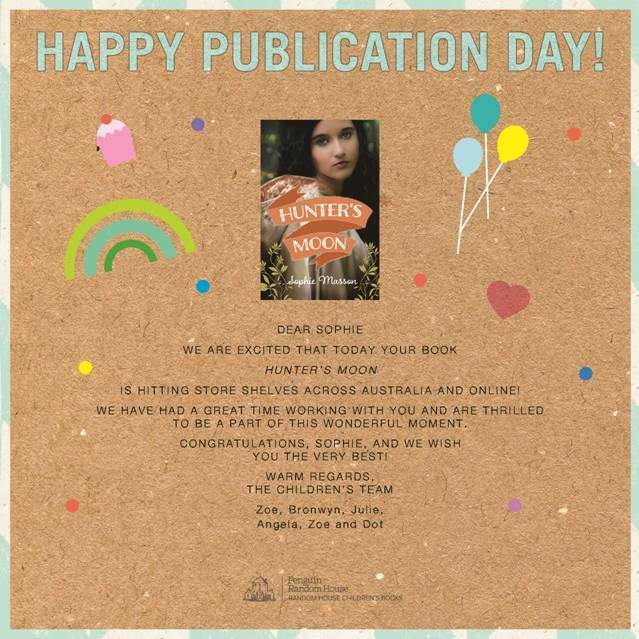 And in my inbox this morning was a lovely message from the fantastic children’s publishing team at Random House, which really made my day!